One of the biggest guitarists of our time! 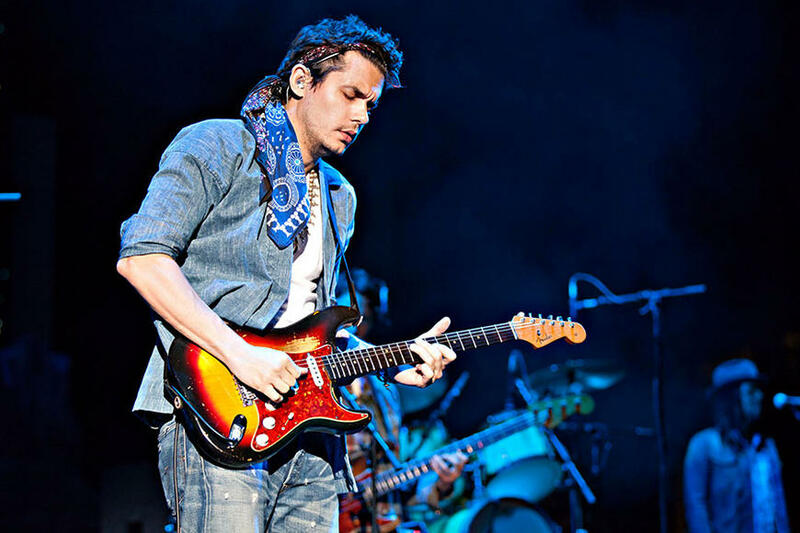 The incredible blues/rock songwriter, John Mayer brings his beautiful and groundbreaking music LIVE to Viejas Arena on Wednesday 11th September 2019! The talented star is behind tracks such as; Gravity, Slow Dancing in a Burning Room, Daughters, Your Body is a Wonderland plus so much more! Grab your tickets to see John Mayer this late summer! "John Mayer’s skills on the guitar are undeniable. Boasting on his extraordinary instrumental gifts, Mayer ripped through his repertoire in his 21-song set during his performance. From full band instrumentals to solo acoustics, Mayer proved that in addition to being a songsmith, crooner and celebrity, he remains a technical virtuoso." John Mayer hardly needs an introduction, as he has gravitated up the charts with his effortless blend of sultry numbers that have covered a wide range of genre's. He has proven to fans and critics alike that his talents have grown strong and across the board, from his mind blowing guitar playing, soulful voice and impeccable songwriting abilities. With his solo career he has gained platinum success for his album collection, including records such as Continuum, released in 2006 – which so many of his fans still listen to on repeat today. With that record, John gained a Grammy Award for his bluesy pop vocals throughout. As well as his success as a solo star, John Mayer has collaborated with so many fellow artists throughout his career, including the likes of; Kanye West, Alicia Keys, Paramore, Fall Out Boy, Maroon 5, Jay Z, Common. Along with this he's also performed with one of his influences, Eric Clapton and most recently with Dead and Company, which he formed with Grateful Dead's Bob Weir. Through this his music has appealed to so many different fans, not just in North America, but across the globe. 2019 marks another exciting year for the talented artist, John Mayer is embarking on his biggest tour to date this coming summer and will be stopping off LIVE at Veijas Arena this September! Fans can catch him while he gives yet another out of this world performance. If you love John Mayer – don't miss out on this exclusive show!